Chennai is one of the most admired cities of Southern India. This megacity is the capital of the state of Tamil Nadu. Situated along the Coromandala coast of the Bay of Bengal, it is often referred to as the “Detroit” of India and for that thanks to its flourishing automobile industry. Apart from being amongst the top destinations amongst educational aspirants, it is the Mecca of the glorious Tamil film industry. The land of scrumptious South Indian delicacies such as Dosa, Idli, Sambhar, Rassam, Mendu-Wada and more, Chennai is bounteous with mouth-watering sea-food such as fish curry, prawns curry and crabs. Apart from scrumptious delight Chennai is also known for occupying various tourist attractions such as Marina Beach, The Huddleston Gardens of Theosophical Society, Arignar Anna Zoological Park and many more. Travellers also love to explore Kapaleeswarar Temple which is the oldest temple in Chennai. Dates back to 7th century, the architecture of the temple is seems around 400 years old. Tourists in Chennai can also visit National Art Gallery that is a colonial era monument built in 1907 AD. The sections in museum are Christine after famous artists and places such as Tanjore Painting Gallery, Ravi Varma Painting Gallery, Indian Traditional Art Gallery and Decorative Art Gallery. To cherish all these places, one should travel to Chennai during winter time. Months between November to February are considered as the best time to visit Chennai. Lots of travellers visit the city every year. Being one of the major tourist cities in India Chennai is featuring as the fifth largest city in India that is boasted with various hotels. To make your Chennai tour more memorable HotelDekho offer its’ amazing services through its hotel booking process and through its tour packages sections. 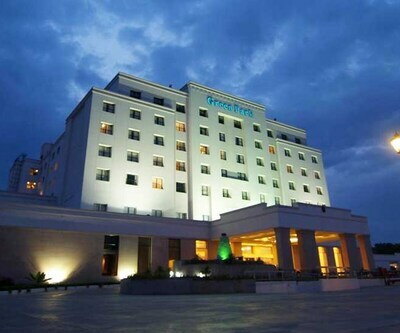 There are many hotels in Chennai which are ranging from lavish 5 star properties to economically used budget hotels. 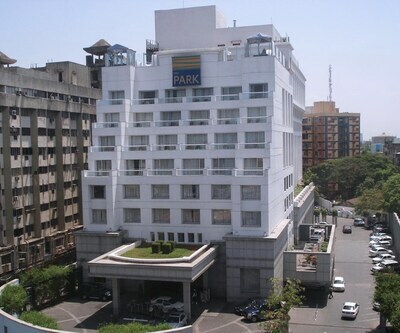 the park chennai and The Raintree Hotel – Anna Salai are such 5 star hotels in chennai which offers more than 200 aesthetically designed rooms which are filled with all the modern amenities. Guests can rejuvenate in the swimming pool or can relax at the spa. The food is delicious in both the hotels. 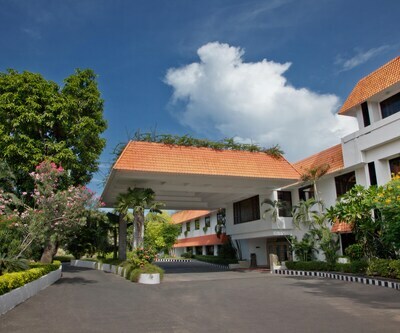 Le Royal Meridien, My Forune – Memner ITC Hotel Group, Crown Plaza Chennai Adyar Park are some other options for 5 star accommodation places which are considered as the best Chennai hotels. Chennai’s Marina beach invites thousands of tourists every year. People from all around the globe come to this city to visit its beautiful architecture that is evident in famed buildings such as the Kapaleshwar Temple, the Parthasarthy Temple, Fort St. George and others. People who are looking for the 4 and 3 star hotels in chennai have plenty of options. On one hand people can choose to stay at Hotel abu sarovar portico (4 star) which offers its guests luxurious stay, thoughtfully designed 93 rooms filled with all modern amenities that make the stay of guests relaxing. Rama Chennai – Egmore is another option among 4 star hotels features with the well-stocked bar, well-equipped gym, and pleasing ambience of the dining area. 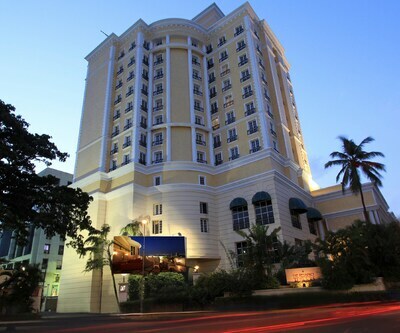 On the other hand if you are looking for good service with the moderate price you can opt for Hotel BKR Grand. The property is famous for its multi-cuisine restaurant which serves different delicacies from around the world such as Chinese, Continental and Chettinad dishes. 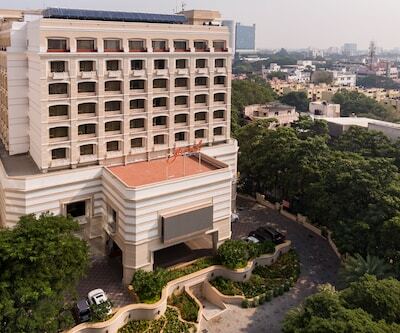 Ibis Chennai City Centre, the checkers hotel, The Springs, Deccan Plaza and many more are best 3 star hotels which featured as best hotels in Chennai. In addition, there is a plethora of affordable hotels such as ambica empire, Sea Shell Residency and Amuth Residency that suit the budget of many who seek cheap but high grade hotels that do not compromise with quality.